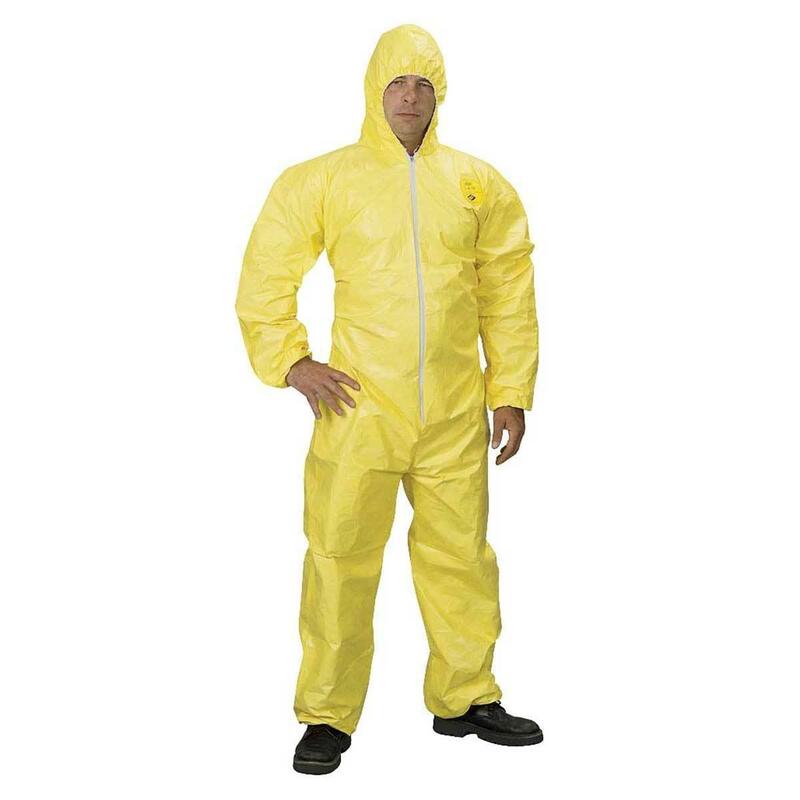 Dupont Tychem Disposable Coveralls DuPont Tychem Disposable Coveralls for lightweight protection from chemical and biological hazards. DuPont Tychem Disposable Coveralls for lightweight protection from chemical and biological hazards. Not all deadly threats come in the form of fires or weapons. For comprehensive protection against low levels of dangerous chemicals, to toxic gases and biological hazards, industrial workers rely on garments made of DuPont Tychem. Tychem is an innovative fabric range comprising multiple barrier layers that help provide protection from chemical and biological hazards. Laminated to Tyvek for strength, it offers a robust solution with a high level of chemical barrier at uncharacteristically low weight. Tychem C coveralls feature a coated Tyvek fabric and provide barrier protection against numerous concentrated inorganic chemicals and biological hazards. New, Tychem 4000 S garments utilise a film laminated to Tyvek fabric to achieve a barrier to permeation by a range of highly concentrated inorganic and some organic chemicals. Designed for both manoeuvrability and comfort for enhanced wearer acceptance. Tychem F garments, also comprising a film laminated to Tyvek, offer the broadest chemical barrier, helping to protect personnel against numerous toxic industrial organic chemicals, highly concentrated inorganic chemicals (even pressurised), particulates, biohazards and chemical warfare agents. Tychem ThermoPro: DuPont faced the challenge of multiple protection need against chemical heat & flame and electric arc hazards, combining its proven technologies Tychem® and Nomex® into a new single layer protective garment. Tychem ThermoPro sets a new standard for some of the high risk environments, providing 360° triple hazard protection from liquid-chemical splash, flash fire and electric arc. Call us now on 01268 768 768 to discuss your requirements!